One of them answered, " I always had a passion for baking, used to try random recipes in the kitchen, since I was in high-school; hiding from my mom because she used to hate her kitchen invaded by a crazy little girl, bent on messing up her kitchen [ because I never cleaned, after I was done:D ]. Then, I had to do a batch of cupcakes for a surprise party that was being thrown for me [ how ironic ] and I ended up guessing the theme and decorating them accordingly. I watched videos online and it struck me. I had a bit of an artistic flair, so what better than to merge my baking skills with some creativity? When my friends tasted them, they insisted me to take orders. They loved the decorations on the top. 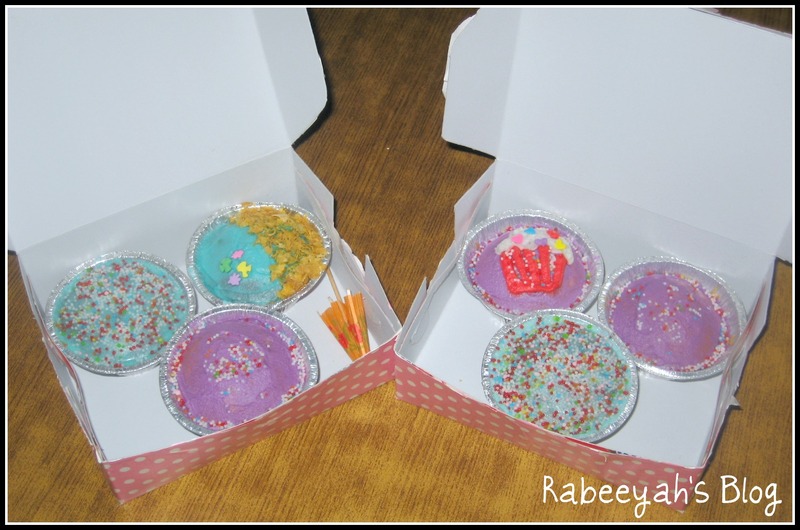 Hence, started the story of Studio Cupcakes. I had my sister for help with all the ground work, testing and trying of new recipes. " So, I ordered half a dozen of them. In which 3 of them were chocolate flavored and 3 vanilla. 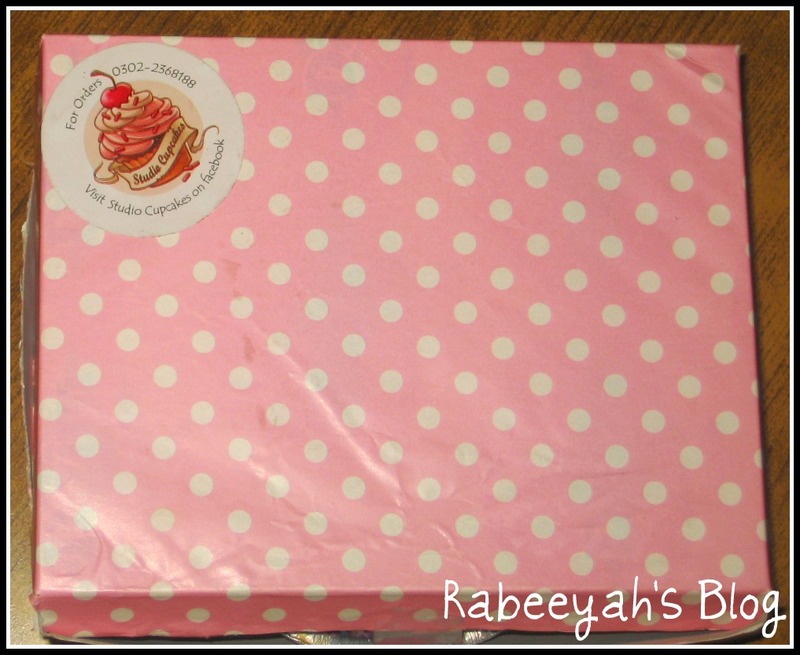 They came in a cute little pink color(my favorite color) , polka dots box. I ordered the basic ones, and she surprised me with some cute toppings which I really adored. 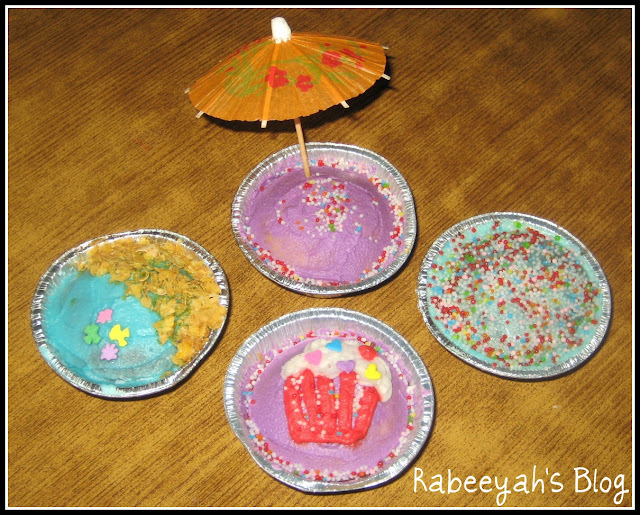 Specially, the cute little umbrella to decorate one of the cupcakes :D A big THANK YOU to her. I loved them, they were so soft and yummy. I personally loved the chocolate ones, as I am a chocolate lover, be it anything. But, the vanilla one was yummy too. They had colored frosting on it, with colorful sprinkles on it. She does different ones with different frostings. 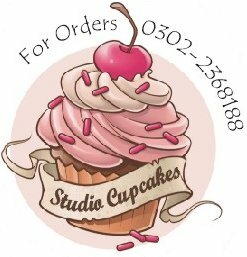 Join the facebook fanpage of Studio Cupcakes and order and enjoy them. Here is the link to her facebook fanpage, where you can see all the pictures and order her accordingly. Studio Cupcakes! 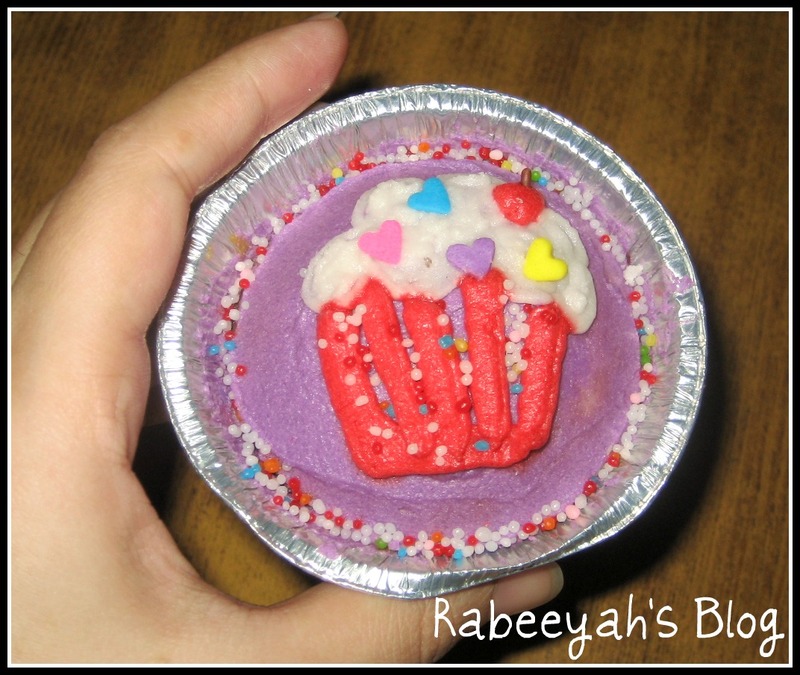 I loved how she decorated them, with the cute little cuppy on the cupcake. This one was my favorite as it was the cutest. You can see how moist it is from inside in the picture below. You could actually see the melting chocolate inside. I could literally feel the melted chocolate in every bite. I really loved the taste and flavor of them, specially CHOCOLATE :D *thumbs up* for it. Don't they look mouth watering and adorable? You want to eat them? Order them now!